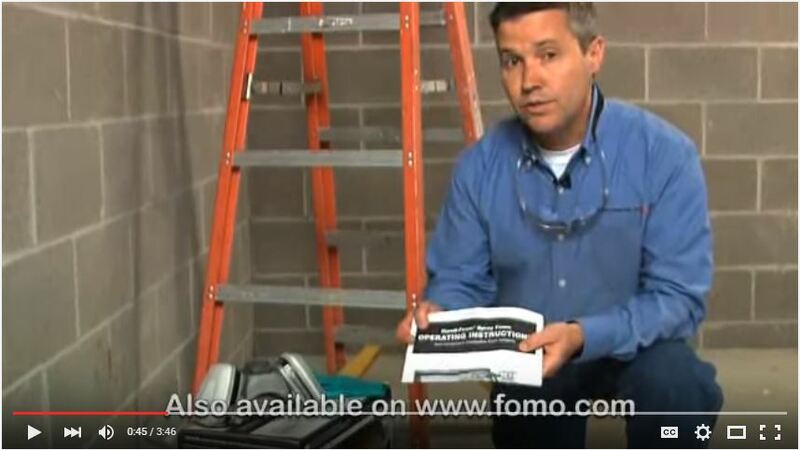 Watch how an exterior wall is sealed and insulated with roughly 3" of closed cell polyurethane spray foam. A Handi-Foam® 605 board foot kit was used and applied with a cone nozzle. 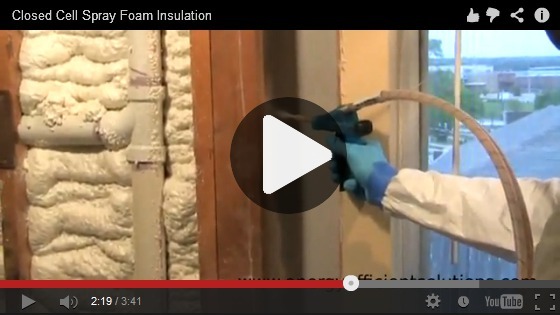 This video provides information on spray insulation equipment setup, gun use, and troubleshooting. 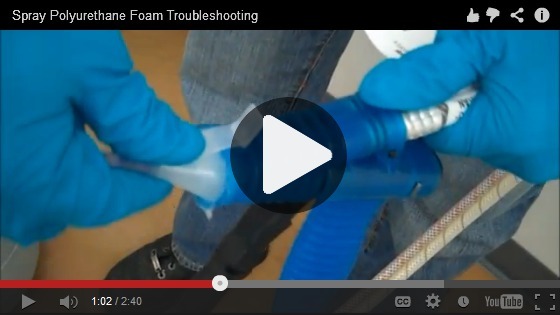 This video provides information on foam equipment storage and use. 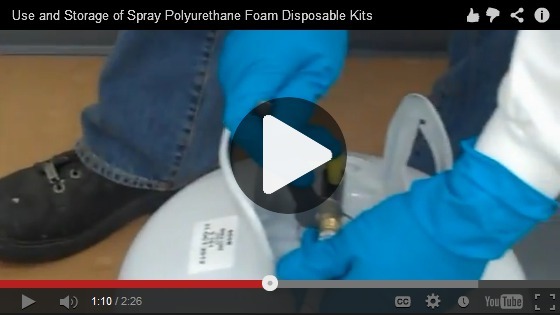 This video explains the required spray foam insulation safety equipment for spray insulation machines and shows various different applications. 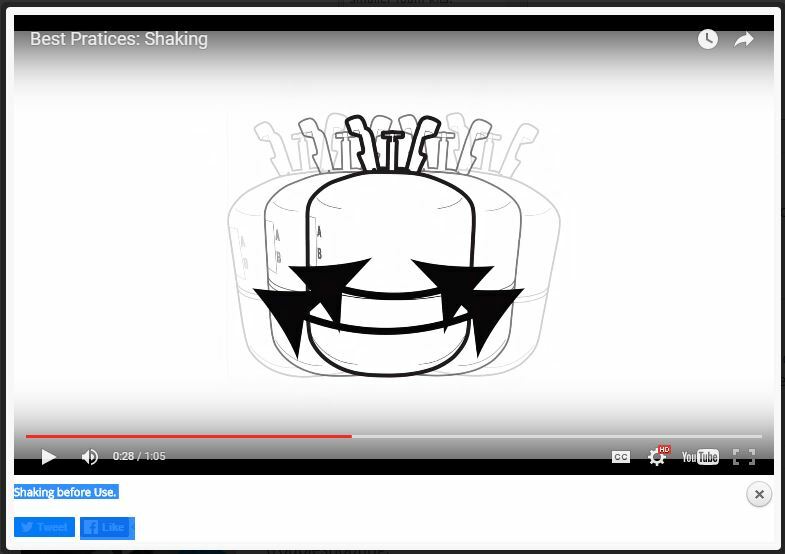 All cylinders and cans should be shaken well before use. Missing this critical step could lead to off-ratio foam. 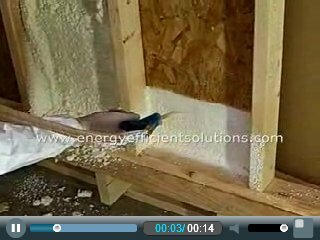 This video demonstrates spray foam applied with a fan nozzle between 16 inch to insulate rim joists.